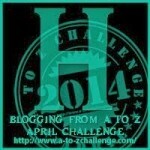 Today I continue the A to Z Blogging Challenge with the letter H. You can find all my A to Z posts here in case you have missed any. 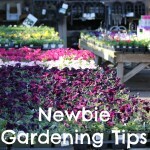 Bottle caps are easy to collect and reuse. An obvious source of bottle caps is beer, but sodas come in bottles too. If beer and soda doesn’t interest you, just try putting a cup out at a party and label it bottle caps. It’s what I did and it worked. One of the many reuse possibilities for bottle caps is to make magnets. You can of course make a magnet displaying the bottle cap logo or message, but if you want a more customized magnet then you can place a photo or a piece of patterned paper inside the cap. 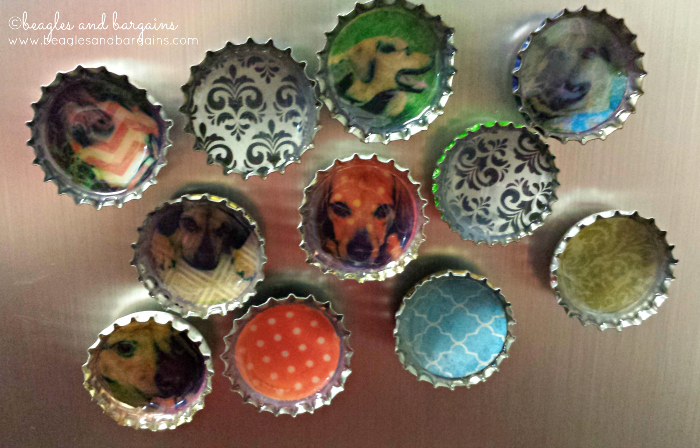 There are only a few steps to make these customized bottle cap magnets. 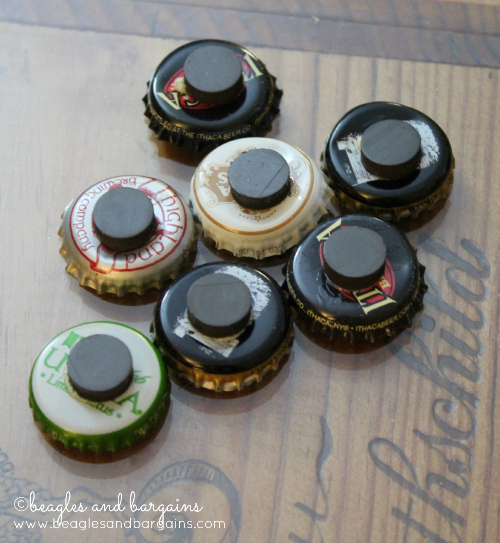 Supplies for DIY bottle cap magnets. Find whatever image or pattern you want. I picked up a few pieces of 8 x 12″ pattern scrapbooking paper that matched nicely with each other. If you hit the sales right, you can get up to 7 pieces of paper for just $1. I also printed out a few images of Luna and the Beagles and Bargains logo. I just used regular printer paper, but I would recommend something a little thicker, so that it doesn’t get too morphed in a future phase. You will also want to make sure you have enough bottle caps. 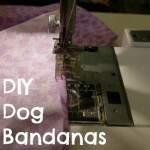 You may want to wash and dry them before hand to get rid of the beer smell or sticky soda. 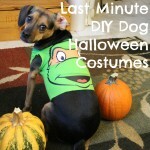 Additionally, you will need Mod Podge or similar glue, a small paint brush, a 1″ circle punch, small magnets, Gorilla Glue (or similar), and Mod Podge Dimensional Magic. I used the clear Dimensional Magic, but they also have a glitter version, which may be interesting! Circles punched out for the DIY Bottle Cap Magnets. 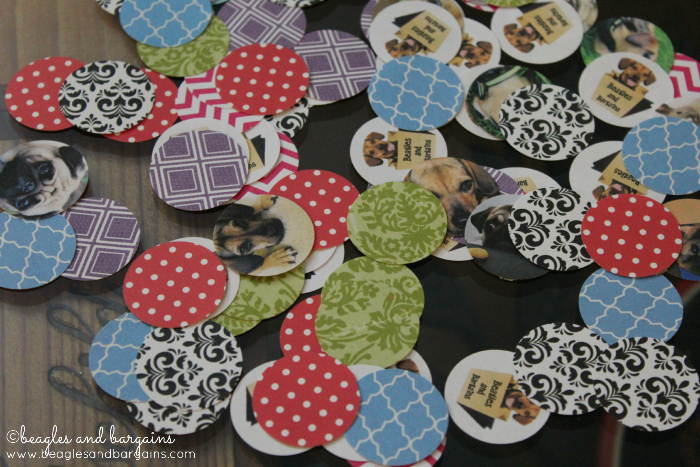 After you have gathered all your supplies, use your circle punch to cut out 1″ circles. You will find that these fit perfectly inside the bottle caps. 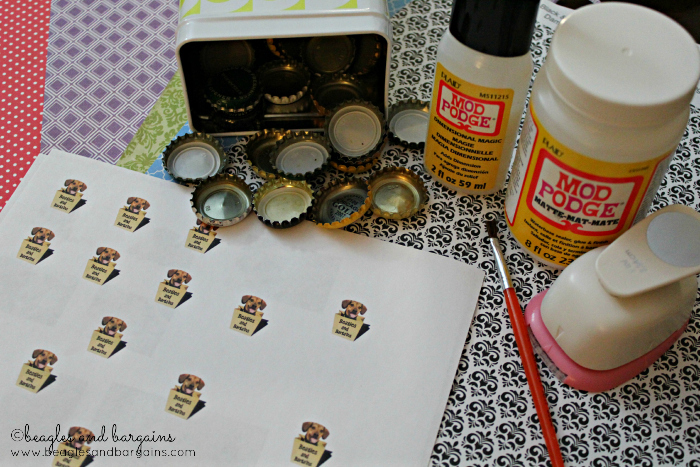 Then, use the paint brush to paint Mod Podge on the inside of the bottle caps. Place a circle cut out on top of the glue and press down. 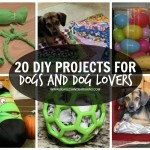 Let the glue dry for at least 30 minutes. You want to make sure the paper won’t be able to float up in the next steps. I recommend putting the magnets on the back (flat side) of the bottle caps now, but you can do it later if you forget. Use a damp paper towel to moisten the bottle cap and magnet, then use Gorilla Glue to attach the magnet to the bottle cap. You only need a tiny bit because Gorilla Glue expands. Fortunately, the bottle cap is magnetic, so the two will naturally be held together. 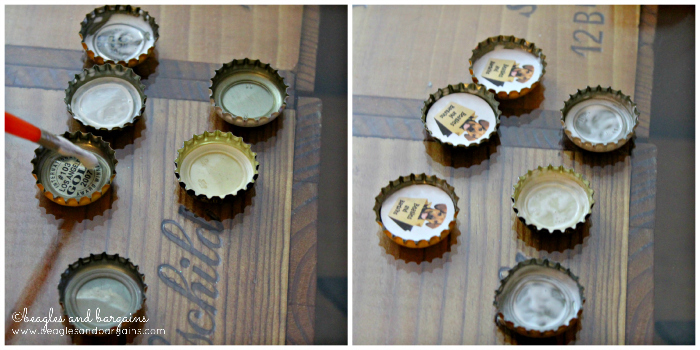 Attach magnets with Gorilla Glue for DIY Bottle Cap Magnets. Flip the bottle caps over and fill the inside of the cap to cover the photo or paper with the Dimensional Magic. Do not shake the bottle before using. 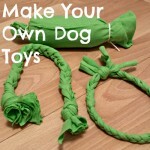 You want to avoid all bubbles and if any form, you will want to pop them before it dries. 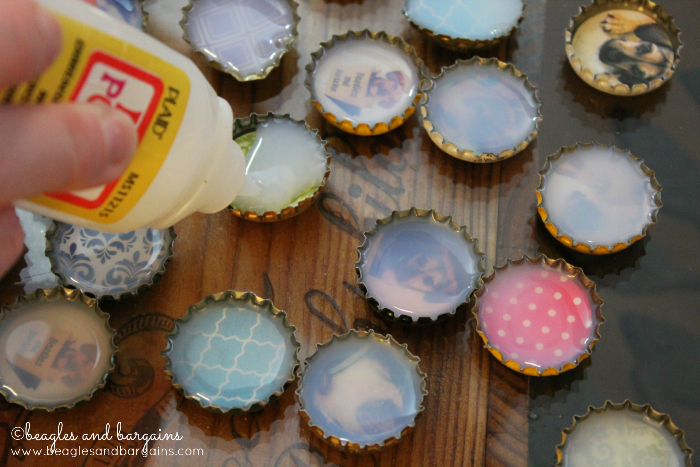 Fill bottle caps with Mod Podge Dimensional Magic. Let the Dimensional Magic dry for about 24 hours. If you have already attached the magnets, then they are ready to be displayed on your fridge. Otherwise glue them on now. Display final Bottle Cap Magnets on your fridge. What have you done to reuse bottle caps?